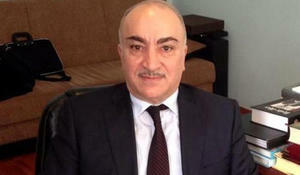 German Chancellor Angela Merkel’s visit to Baku was extremely important, Azerbaijani MP Tahir Karimli told Trend Aug. 28. German Chancellor Angela Merkel’s visit to Azerbaijan is extremely important from the point of view of development of bilateral relations and relations between the European Union and Azerbaijan, Azerbaijani MP Hikmat Babaoglu told Trend Aug. 27. 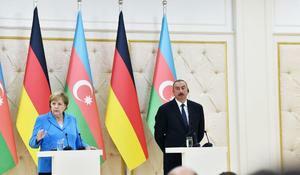 Germany can take part in all spheres of economy desired by Azerbaijan, said German Chancellor Angela Merkel answering the question of Trend, at a joint news conference with Azerbaijani President Ilham Aliyev in Baku. 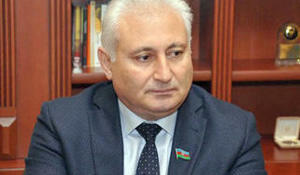 The visit of German Chancellor Angela Merkel to Azerbaijan will give a great impetus to development of both economic and political relations between the two countries, Member of Azerbaijani Parliament Aydin Huseynov told Trend Aug. 24. German Chancellor Angela Merkel has arrived in Georgia, Georgia Today reports. Why is Merkel coming to Baku? 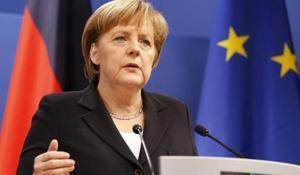 The upcoming visit of German Chancellor Angela Merkel to Baku this week is primarily aimed at achieving certain agreements on energy projects being implemented by Azerbaijan, Murad Sadigzade, a well-known Russian expert, told Trend. 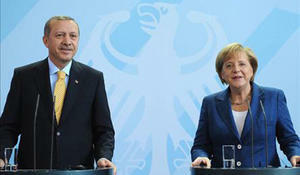 The Turkish economy's strength is important for Germany, German Chancellor Angela Merkel said Wednesday during a phone call with President Recep Tayyip Erdoğan, according to presidential sources. Germany’s Bavarian conservatives are pressing for corporate tax cuts and abolition of a tax imposed after reunification to help poorer eastern states, which could complicate talks with the Social Democrats (SPD) on forming a new government, according to Reuters. Chancellor Angela Merkel’s efforts to forge a three-way ruling coalition could stretch into the weekend after the parties missed Merkel’s Thursday deadline and failed to reach agreement on key issues such as migration and finances, Reuters reports. Azerbaijani President Ilham Aliyev has congratulated Angela Merkel, Chancellor of the Federal Republic of Germany.